To train the these kids on cameras that we give them (thank you City of Seattle’s Office of Arts & Culture!) so that they can begin to document themselves and their lives now that they live in the big city. 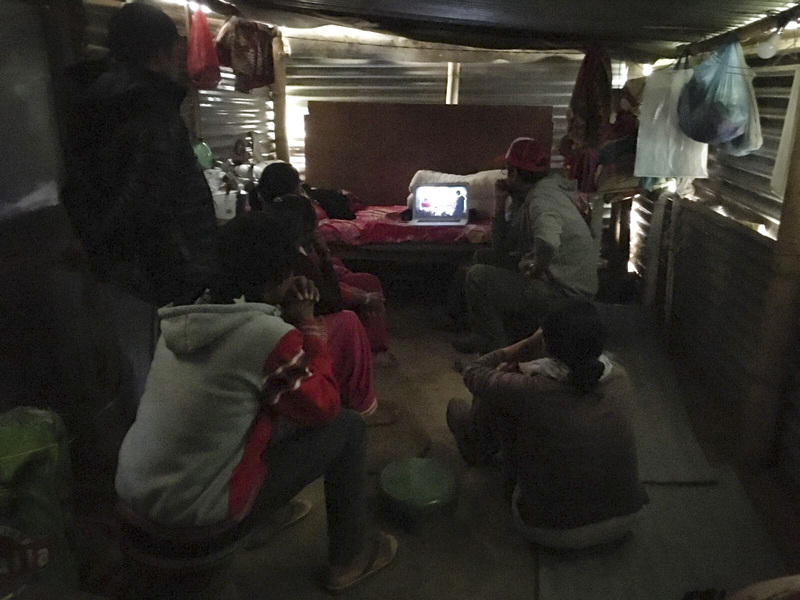 To show the Darnal family our new film, The Eldest Son, about Kumar Darnal’s experience as a migrant laborer—to get their OK before it screens at The Kathmandu International Mountain Film Festival in December. 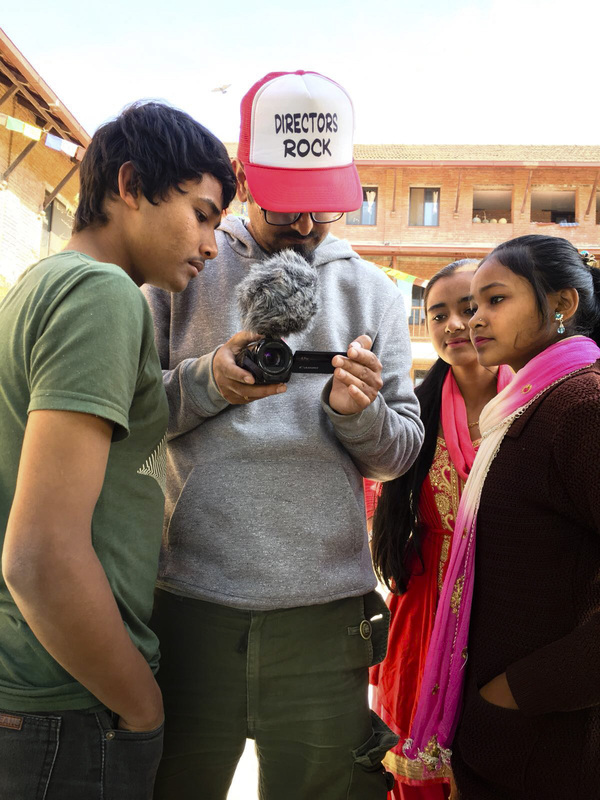 To shoot a video for the BSF/Mitrata foundation (the organization that is facilitating the Darnal kids’ education). And, all these things are sort of magically coming together. I am thrilled—feeling extremely blessed for all the kindness and support all the people around me. I have not had a ton of time to process it all, but here are some of the highlight via photos. 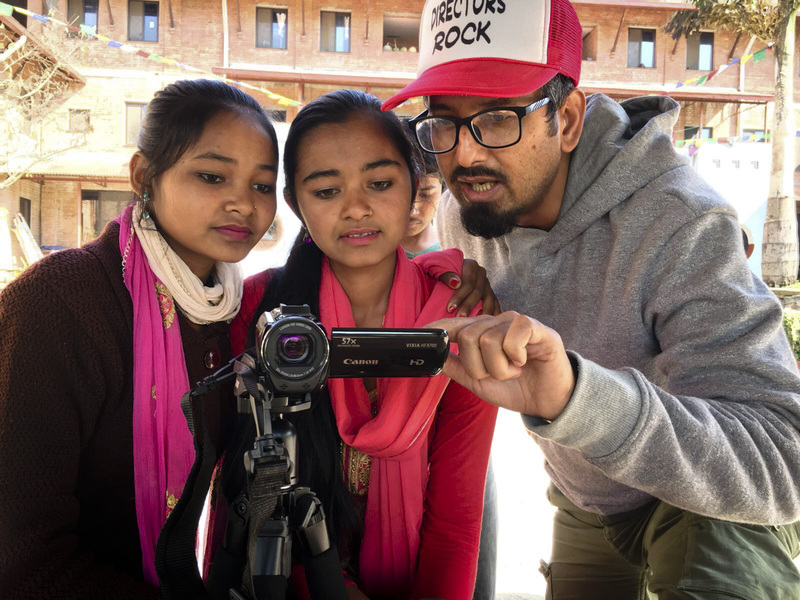 Shailendra Karki, our friend and cinematic collaborator on Drawing the Tiger and The Eldest Son doing a camera workshop with the kids. Shailendra is such a good teacher. The kids were SO into it. I wasn’t 100% sure they would be. But they have had those cameras with them pretty much every minute since. Amma, their mom, told me they better not get so distracted by them that they forget their work, and that they had better film her in good light. She is funny, that one! 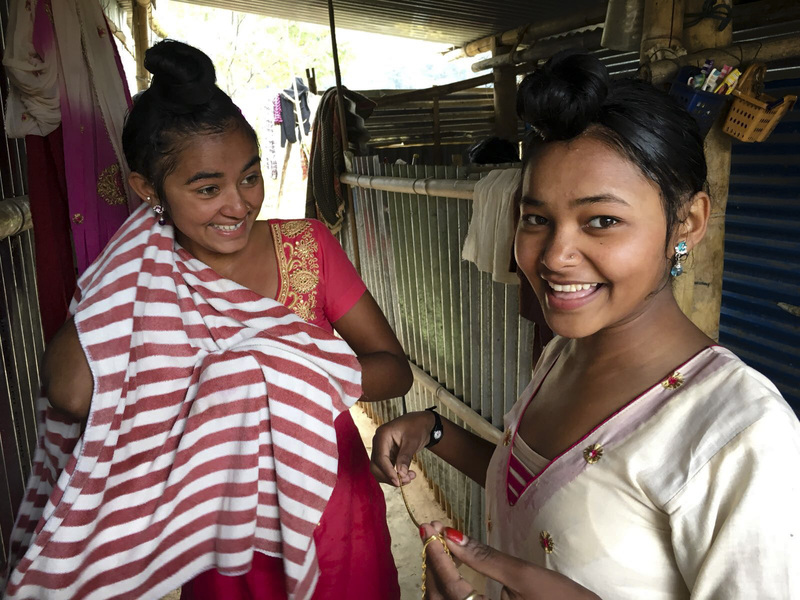 Rashmita and Sarita are enrolled in school!!!!!!!!! We have been supporting Kumar’s kids, Pawan and Purnima, via The BSF/Mitrata foundation for about a year now. 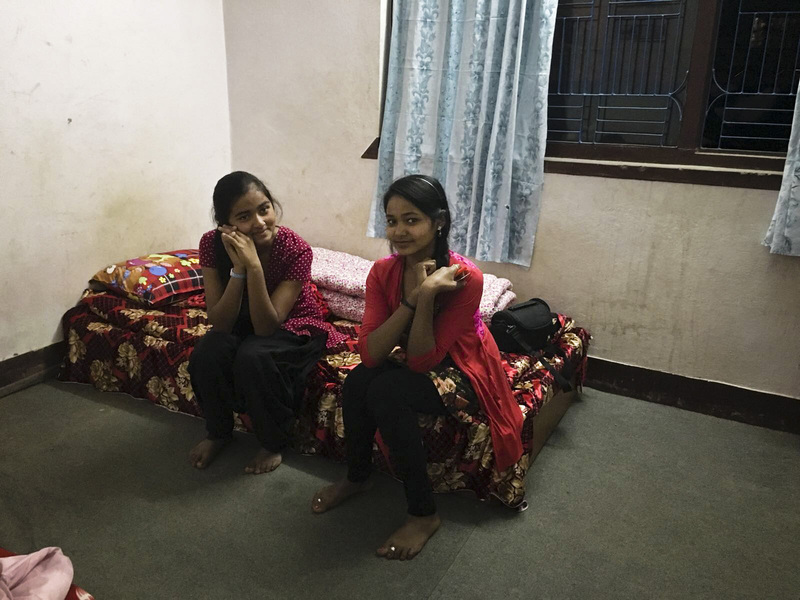 And they have found what looks like a great fit for Rashmita and Sarita here in Katmandu. 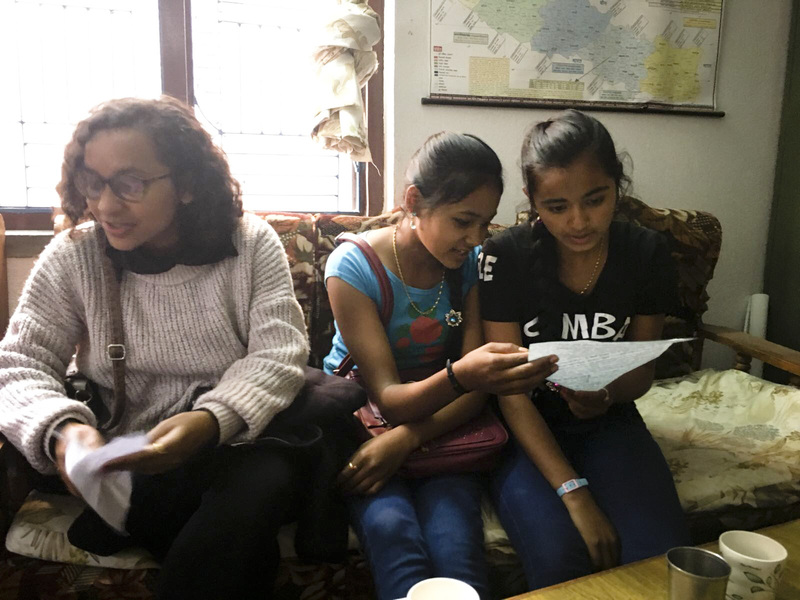 They are doing an 18-month residential course in Social Mobilization, which basically means training to work for NGOs/INGOs, which there is NO shortage of here in KTM. They study computers and English. And, after the first year, they do a paid internship in districts around the country—and they get to do it together. Pretty perfect. So, The girls got all into their KTM garb, and we found the KTM Training Center (no small feat) and took a tour. They loved it! They get to live right there at the school. They have a hostile that fits about 20 girls. This way they really get to focus on their studies and Kumar does not have to feed them. The girls came from the village with only a few belongings. They have been living with the second mom, Saraswati, up in Ramechhap. So, we went shopping for their new dorm room. So fun! These girls… I am not worried about them. They are independent, strong and know how to have a good time. Watching Sarita bargain was so great! “KASTO MAHANGO!” she would tell the shop people. SO EXPENSIVE! and then pretend to walk out. And, the girls have each other. They are so close. They told me they never fight. 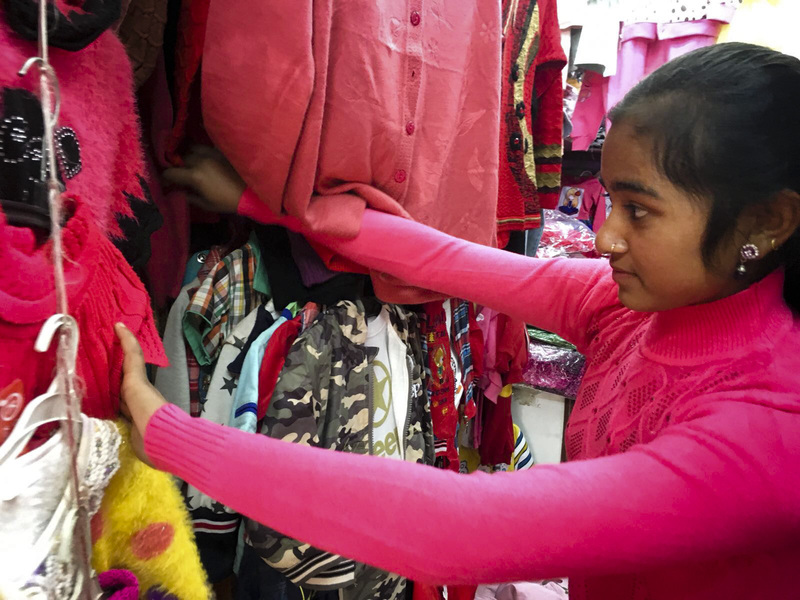 They were adorable the way they negotiated what colors of the single items they would get—Rashmita’s favorite color is blue. Sarita’s is pink. Sometimes they just settled on red. I love them so much. Oh, and the dorm has a Saturday circle where they share their FEELINGS of the week. The training center is not much to look at. (Single flourescent light in their room,) but I think it has heart. The women that run are lovely and welcomed R&S so sweetly. They told Pradma, the principal of the school, about their sister Shanta’s 2010 suicide. We were little when it happened they said, but we remember her. 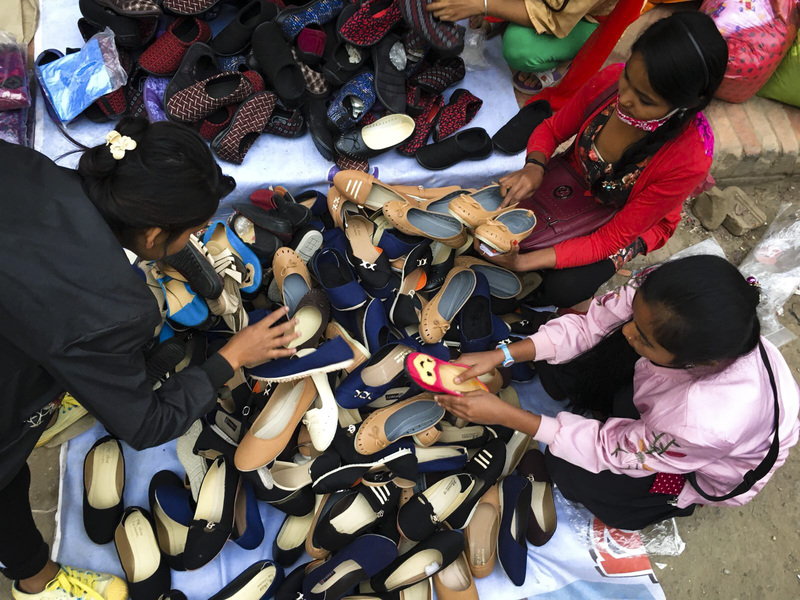 Ram Kumar and school—we are looking at an electrical training certificate that would allow him to work in an electrical shop and apprentice—to work his way up. The kids is swift with how things work! So, that probably won’t happen in the next 3 days, but it is in the works. Hopefully, by the end of the month, RK will be studying in the city as well. Till then, he will conitinue to help Kumar with the statues. If you would like to donate to the Darnals’ education—here is the link to do so. All donations are tax deductible. I showed The Eldest Son! They seemed to like it. I mean, it’s hard to tell. I don’t think it is a matter of ‘like’ or ‘not like’. I think more it is very strange for them—to watch themselves, to see our interpretation of their story as they are living it. It made Amma homesick for the village. While life is much easier here in the city—it is different. 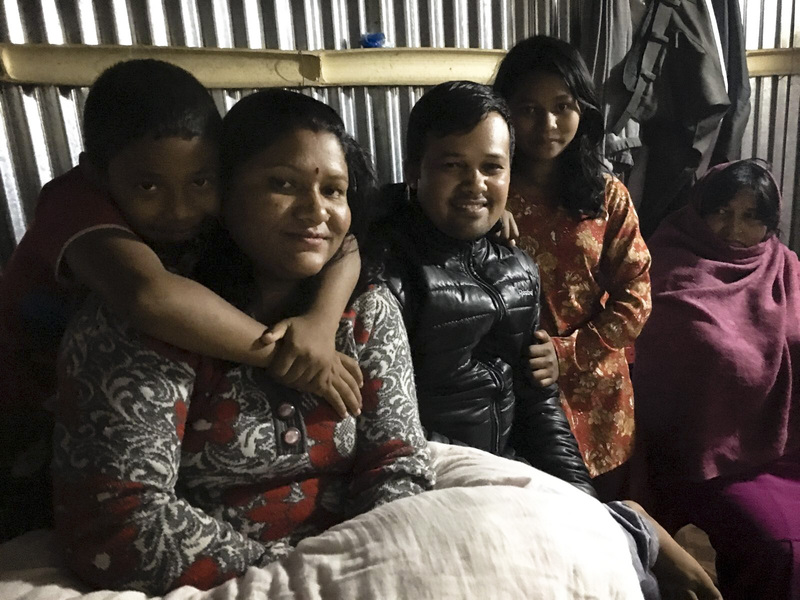 They have just a tiny plot of land, more a garden than a farm, no animals, no fire pit, no house—the tin shack they have erected from their earthquake aid materials is just as sweet as a tin shack can be—but it is still a tin shack. Also, they are not immersed in media. I am sure this is the only documentary they have ever seen—and honestly, I don’t know how many movies they have seen total. Amma, I am pretty sure she has only ever seen the two movies that she is in. I have been having fun filming for BSF/Mitrata. I have a big shoot today. Last week, I shot a cermemony for their graduates. It was so fun because Kumar came with Pawan and Purnima, who Scott and I sponsor. It was strange and wonderful having them there, being their sponsor and not filming them specifically. What was thrilling was seeing the Darnals be a part of something. This foundation is special. 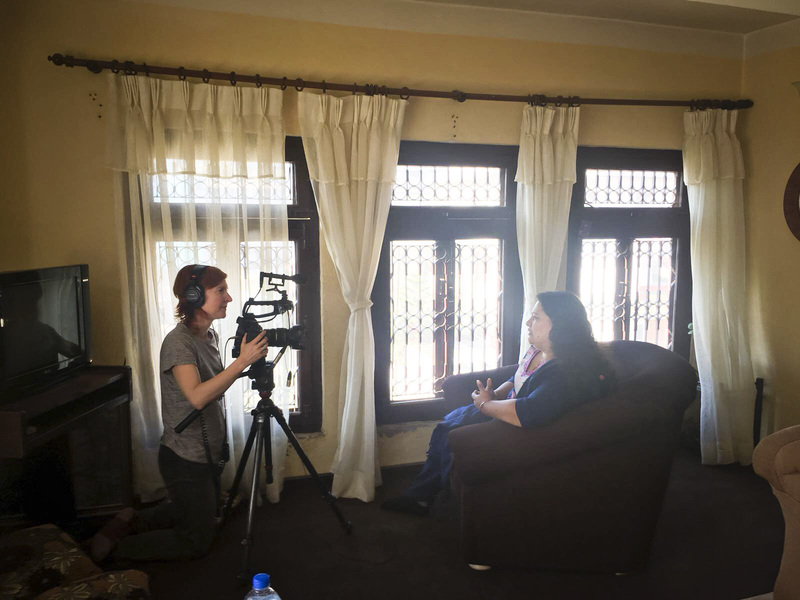 I knew it when I went to Missouri last year—where the American side is run by Christine Shultz—and seeing it in action here in Nepal with Leena, the Nepali side—I felt it. This is a family. These kids and staff and sponsors all knew one another, felt comfortable with one another—and they really welcomed The Darnals who are knew to the program. 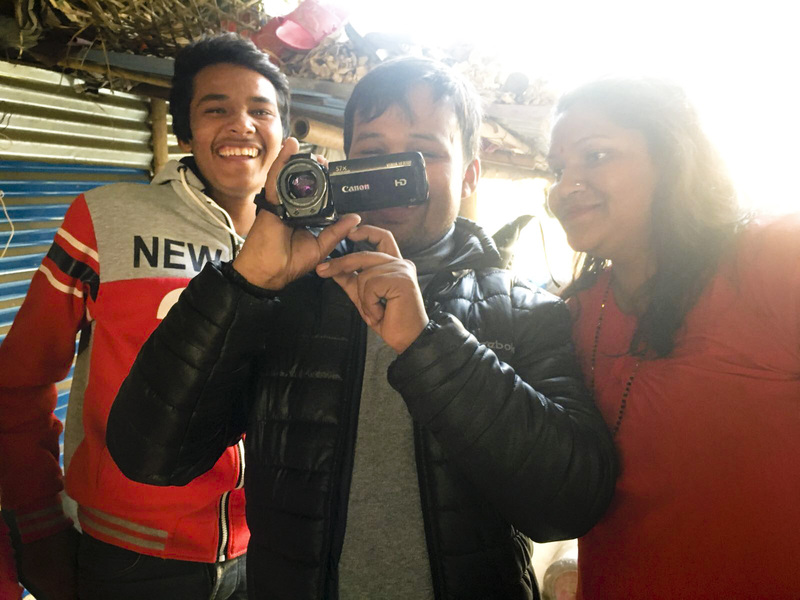 We have been paying for Purnima and Pawan’s education since 2011, but having advocates here on the ground with them feels SO GOOD! Seems like they are going to thrive with this org. Their graduates not only have jobs, they are confident and outgoing. So, I have 3 more days and still filming to do as well as working on getting RK in school and fixing Amma’s feet. She has terrible fungal infection, I am pretty sure. So, it is going great! The only downsides—KTM has so much more POLLUTION, TRAFFIC, POLLUTION, TRAFFIC!!!! It is horrific. Yes, I am going to use the word HORRIFIC. It is way worse than just 2 years ago. You cannot NOT wear a mask. Everyone does. Maximum thanks to Karyn Schwartz at Sugar Pill for fixing me up with some herbal immunity boost products from her incredible little apothecary. Everyone is talking about how warm it is for November (I have barely worn my puffy coat, usually a Kathmandu staple.) Climate change does exist. Oh, and even though Nepal now has 24/7 electricity, I am having a heck of a time finding an outlet that works to charge my phone, computer, camera batteries—fancy American filmmaker problems. I am dealing. 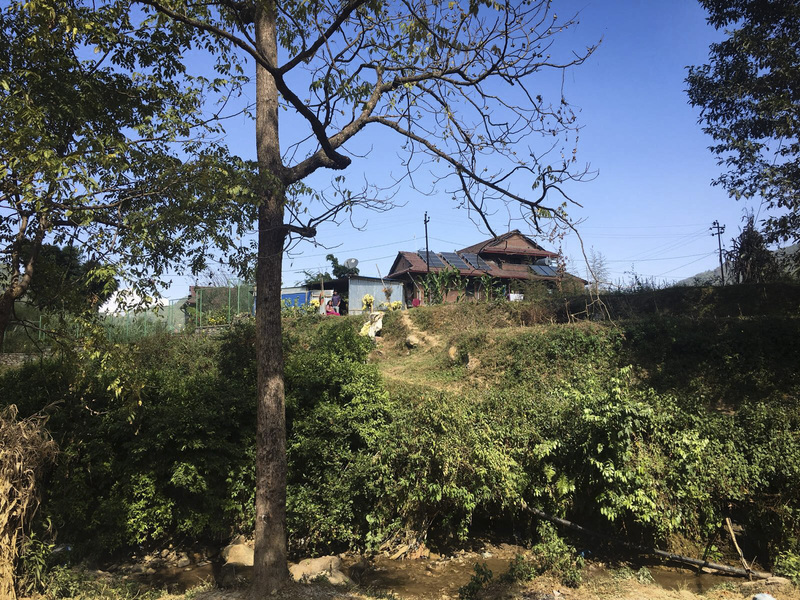 The Darnals’ home is the corrugated metal shack literally in the shadow of Ama Ghar, the wonderful orphanage, where I’m staying.